In preparation for the 2015 Global Games to be held in Ecuador, Simon Robinson has named a ten-player squad to represent the Australian Boomerangs to compete in an international friendly against Japan. The friendly will take place after the 2015 Ivor Burge Championships for players with an intellectual disability, in which Japan will also field a team for tournament play. The clash marks the next step of preparation for the Boomerangs in their path to the Global Games. 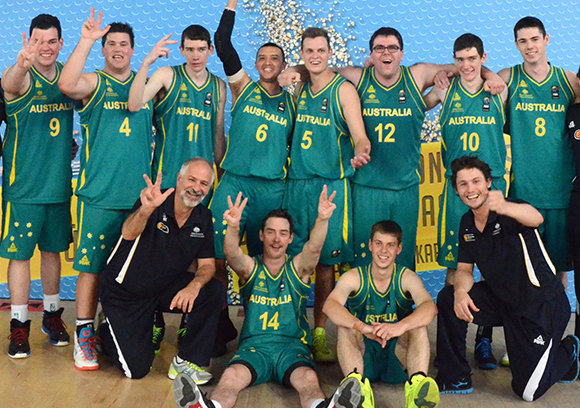 The Boomerangs finished fourth at the 2011 Global Games and most recently placed third at the 2013 World Championships in Turkey. They will be looking to move up the podium when they travel to Ecuador in September. The friendly against Japan is scheduled to take place on Sunday 1st March, 1PM on the show court of the Dandenong Basketball Stadium. Entry is free, so come along and show your support for the green and gold.